PowerObjects is 100% focused on Microsoft Business Applications through our four pillars of Service, Support, Education and Add-ons. PowerObjects tailors services for different customers, from the small businesses and do-it-yourself crowd to enterprise-level, large-scale implementations. Programs include PowerSuccess, XRM, RxRM (CRM for Healthcare), customised portals, integration with other systems and much more. We are passionate about offering awesome, responsive support to Microsoft Dynamics 365 users. Customers can choose from standard on-demand support or premium services like PowerSupport. Real-time support information is available through our communications portal, PowerCare. PowerObjects promotes education to empower users to get the most out of Dynamics 365, offering training on everything from user basics to advanced topics. 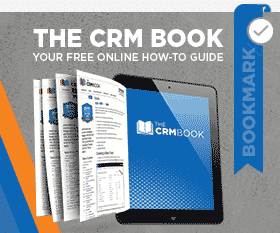 We constantly add to our CRM How-to Portal, and offer a smorgasbord of trainings and resources including CRM Boot Camp, The CRM Book, custom trainings and more. We are always improving and adding to our suite of CRM add-ons for Dynamics 365, dubbed the PowerPack suite. These include tools for sales, marketing, productivity, and more. We’ve also developed Power8CRM— a Dynamics 365 companion app for Windows 8 tablets. Learn what it’s like to be a part of the PowerObjects team!